Time is your most valuable asset! Discover time-tested business principles in no time at all! 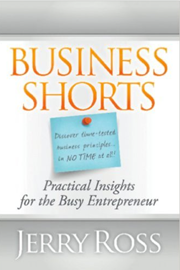 Business Shorts is an engaging collection of short stories that illustrates timeless business principles that are critical for success in any business. Told from the perspective of a life-long entrepreneur, this book is a must for your business library.